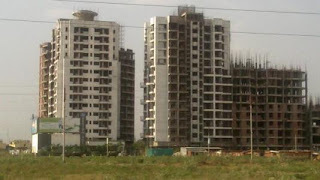 GREATER NOIDA: The Uttar Pradesh government has cleared housing projects and townships in Greater Noida West, formerly namedNoida Extension, without considering key environmental parameters and the rich wildlife of the area, which has now all but vanished, concerned environmentalists here say. "The state's environment directorate has completely failed in discharging its duties to protect wildlife and provide a healthy environment to its people. The government has simply acted as traders and agents of private builders," Akash Vashishtha, conservation coordinator of the Hindustan Environment Action Group (HEAG) said. "Wildlife is the first aspect while assessing the environmental impact of any project or development in an area. In Greater Noida West, this primary factor was completely ignored. These area still has a Saperon ki basti (snake charmers' settlement). We have captured several nilgai on camera which are on the verge of extinction in the area due to their lost habitat and complete loss of vegetation," he added. According to environmentalists, Greater Noida West, comprising villages like Bisrakh, Patwari, Itehera, Roja Yakoobpur, Jalalpur, Khairpur and Sadullapur, once abounded with reptiles, peacocks, blackbucks and nilgais but the UP State Level Environment Impact Assessment Authority ( UPSEIAA) ingored this while approving the private housing projects. Although several nilgais still inhabit the area, the reptiles, including diverse species of snakes and cobras, have altogether vanished due to the destruction of their habitats and rising noise pollution due to construction activities. Similarly, blackbucks have almost been exterminated from the area and the peacocks, too, are dying a slow death amidst their fast-shrinking habitat. All these species are protected under the Wildlife Protect Act, 1972. Seeking the urgent intervention of the Ministry of Environment and Forests (MOEF), environmentalists have written to environment minister Jayanthi Natarajan to direct the state and its agencies to immediately stop the reckless, unbridled construction work in the area under Section 5 of the Environment Protect Act, 1986. "Every forest division in the country conducts a wildlife census every two years. But surprisingly, the Gautam Budh Nagar forest division, comprising Noida, Greater Noida and Yamuna Expressway areas, has no wildlife census till date. They have never bothered to know how many wildlife species exist in the division, forget about conserving them," Vashishtha added. 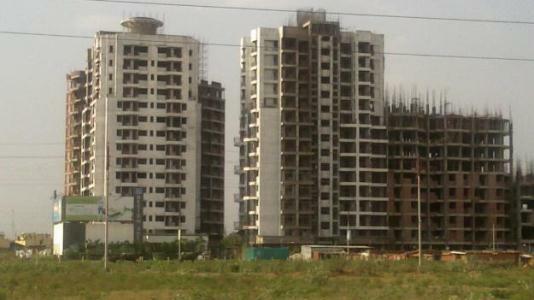 Housing projects and townships fall in the Category B of the Environment Impact Assessment Notification, 2006, which require clearance from the state government. The category A projects, on the other hand, need clearance from the centre. Environmental parameters like wildlife, local ecology, soil and ground water conditions are taken into account while granting environmental clearance to any project. Alleging that "deep collusion was taking place between the private builders and government officials", environmentalists have asserted that "only about 10-15 per cent of them have the environmental clearances in place. Of about 60 builders in the area, only 6-8 have the clearance while the remaining ones are carrying out work without the mandatory nod". "Several builders in Greater Noida West are illegally drawing out millions of gallons of groundwater daily for their construction purposes in violation of the orders of National Green Tribunal (NGT). Greater Noida West is a semi-critical zone declared by the Central Ground Water Authority. We fail to understand how clearances were awarded to these construction projects," Vikrant Tongad, another environment activist who is fighting against the ground water depletion by private projects in the NGT said. Environmentalists have also claimed that reckless construction activities by private builders in Greater Noida West have also endangered the lives of several villagers in the area who have complained of respiratory ailments amidst rising air pollution. The Greater Noida West area is one of the most fertile belts in western Uttar Pradesh, supporting three crops a year. When contacted, Ashok Kumar, the acting divisional forest officer of Gautam Budh Nagar, said: "We are acting as per the guidelines issued by the state government. It is up to the senior functionaries in the government to act against those who have not sought the environmental clearances. We have initiated the process of conducting a wildlife census in the district."